You are now visiting Danish Cultural Institute in Estonia, Latvia and Lithuania. See where else we work Created with Sketch. On Friday the 28th of September, a Media Hackathon was held together with a pitch competition and a presentation by Danish editor Lars Trier Mogensen from Føljeton, a Danish online news media. Lars Trier Mogensen was invited as keynote speaker at this media- and innovation hackathon. At this event the “Media reSTART” program was presented. The aim of the program is promotion of new media end to develop already existing media mainly in the Russian speaking society in Latgale. A part of this event was to hear pitches from different groups who presented their thoughts for the future and competed on who would win the price for best pitch and idea. The price for the best pitch was given to two teams, who both received a 10.000 € price to further develop their ideas. 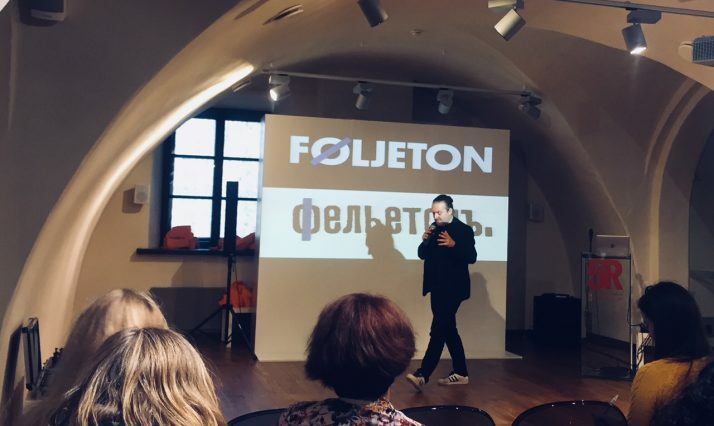 The event was organized by Latvian NGO Baltic Center for Media Excellence, The U.S. Embassy in Latvia, The Embassy of Denmark in Latvia and the Danish Cultural Institute.